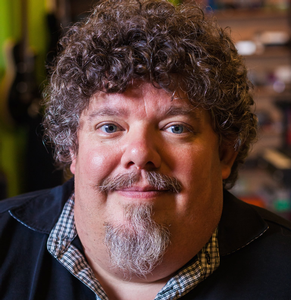 Larry Crane is the editor and founder of Tape Op Magazine, owner of Portland, Oregon’s Jackpot! Recording Studio, a freelance producer/engineer who’s worked internationally, the archivist for the Estate of Elliott Smith. He’s worked in the studio with Sleater-Kinney, Jolie Holland, The Decemberists, Jenny Lewis, M. Ward, Go-Betweens, Stephen Malkmus, Jason Lytle, Quasi, Portland Cello Project, Elliott Smith, and many more.